Softness and the luxury of thick, real leather. The Passion Ronda Scissor Wallet has an elegantly simple design realised in high quality, real leather that offers great protection for your scissors. At the front, there's a loop to secure one pair of scissors securely. 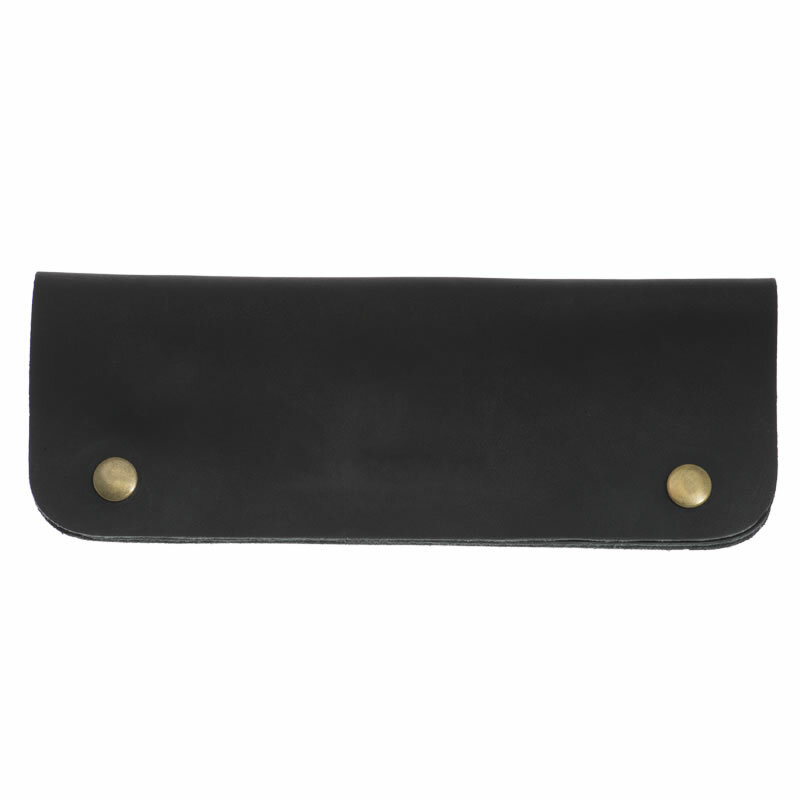 Behind that is a full-width pouch that's ideal for a second pair or scissors or for a couple of your favourite combs. The Ronda is closed by heavy-duty poppers that keep it securely fastened and, measuring only 21 x 8 cm, it's small enough to slip into an inside coat pocket for easy portability. Superb comfort from a flowing ergonomic shape and fixed finger rest, coupled with convex slicing blades and a butter smooth action. Comes in right- or left-handed in either 5.5 or 6 inches or in 5.0 inches (right-handed only) and is supplied with a grey, leatherette scissor case and 4 finger-ring inserts. Ergonomic design and a super smooth action combine in this 40-toothed thinner that looks gorgeous and cuts like a dream. Available in right or left handed versions. 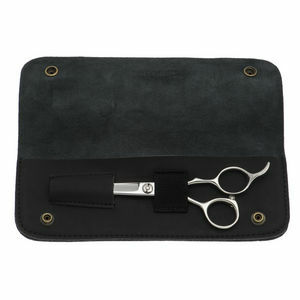 Longer, heavier bladed scissors with larger thumb rings designed for the most demanding barbers. Comes in 6 or 7 inches with a leatherette case, lifetime guarantee and 2-year FREE servicing warranty. 30 teeth on longer blades and offset handles with a larger thumb ring designed for barbers. Comes with a leatherette case, lifetime guarantee & 2-year FREE servicing warranty. An angled thumb ring lowers your arm position for less tiring cutting. Fully convex, slicing blades deliver superb performance. Comes in right- or left-handed in either 5.5 or 6 inches or in 5.0 inches (right-handed only) and is supplied with a black, leatherette scissor case and 4 finger-ring inserts. 40-toothed thinner with an angled thumb ring to reduce hand fatigue and convex, hollow-ground blades for a perfect cut. Right or left handed and supplied with a free scissor case, lifetime guarantee and 2 years' free servicing. Also available, a few limited edition right-handed thinners with 20 or 30 teeth. Only while stocks last.